Having recently started as a data journalist at The Telegraph after completing my Interactive Journalism MA, I've been figuring out what I should focus on learning next. While you can do a lot with the functions in Excel or Google Sheets, as well as the plethora of data-related tools available, there comes a time when programming can help take your work to the next level. So, as I said, I've done a little research to figure out what I should focus on. These are three programming languages I'm learning to aid my journalism. R has been increasing in popularity among data journalists over the last few years. It's easy to see why: whether you're collecting, cleaning or analysing data, R's a powerful tool that goes beyond what you can do in a spreadsheet. It's a constantly developing platform assisted by an active community of people willing to help you. 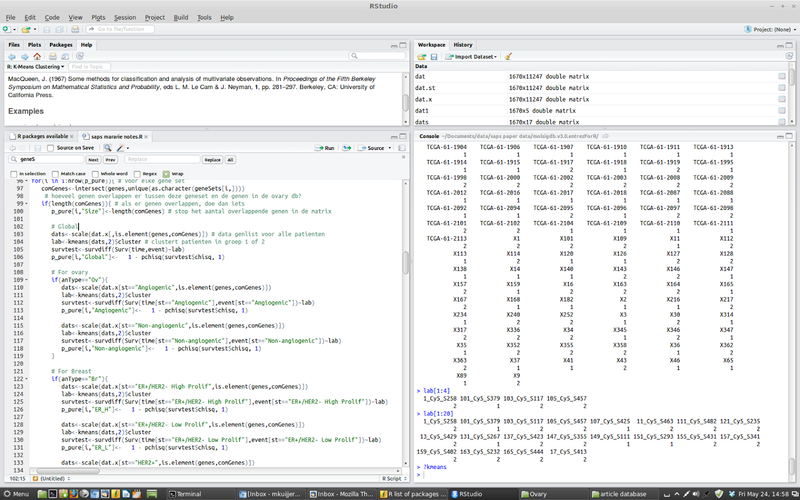 With RStudio, there's a decent GUI in which to issue your commands that tell R what to do with the dataframe you input. Swirl is a good place to begin learning. It is hard to find any visualisation method or data wrangling technique that is not already built into R. R is a universe in its own, the mecca of visual data analysis. Trained data journalists can use R to analyze huge dataset which extends the limits of Excel. Ever had two or more spreadsheets that you wanted to join together? Or a large dataset that you wanted to query? You quickly begin to see the restrictions with what you can do in a spreadsheet - which is where SQL comes in. The programming language allows you to do several things, including: selecting specific subsets of data that you want to extract; describing the exact changes you want to make; and performing queries across related datasets. You can save your commands as a script, meaning you can document your progress and repeat your steps in the future. Try the w3schools tutorial as a place to start. Among its many uses, Python is a language that you can use to scrape websites - more powerful than tools such as OutWit Hub. Python scripts can extract data from web pages and documents, allowing you to build datasets in which you can find strong stories. Python is a wonderful open source programming language which is easy to read and write (e.g. you don’t have to type a semi-colon after each line). More importantly, Python has a tremendous user base and therefore has plugins (called packages) for literally everything you need. Once again, there are several tutorials out there to learn this language. So there's my three: R, SQL and Python. Together they give you the skills to conduct great data journalism, from sourcing to scraping, from cleaning to visualising. Got any more that you think I should include? Tweet me. Very nice piece of information, please keep updating and share your valuable information with us. I appreciate the effort of the blogger. I have one small question which is related to html5. If you could help me out then it would be really helpful. How is the page structure in html5 is different from html4? Digital Marketing is one of the most promising field which is giving a tough tie for traditional marketing methods. AngularJs is an open source framework which is used to add details to the website. AngularJs is supported by google which a major advantage to the developers. Great post you could have completed the following. I'm truly happy to learn to read this kind of.Applications For Android This can be a very informative subject matter that you're picked. keep writing. Nice blog. This is very useful post. Thanks for sharing. Wonderful post. Thanks for sharing such a useful post. Very useful content thanks for sharing such a informative content which provided me the required information on the various technology. Nice informative content which provided me the required information about the programming language where i have gained lot of knowledge. Thanks for the best topic. Very useful information. Word press is anything but difficult to develop and WordPress group has contributed hundreds of modules and topics to amplify its usefulness. Thanks for sharing this webpage. I learned a lot about WordPress. Keep sharing more like this. Very useful post, Thanks for sharing this informative article and it's a worth read, your instruction is very clear.